Founded in 1922, Federal Premium has been a trusted name in ammunition for nearly a century. 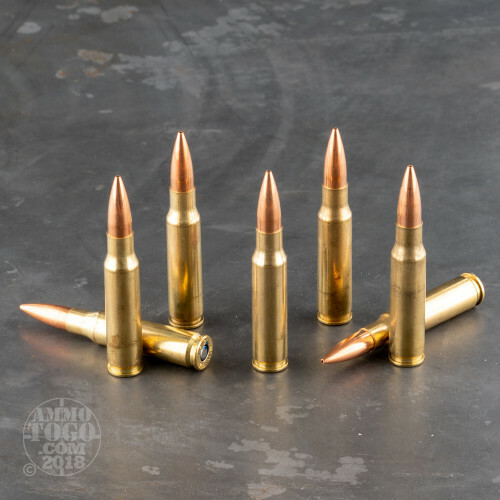 With headquarters located in Anoka, Minnesota, Federal Premium produces some of ammunition with innovative designs and reliable performance to meet all your shooting needs. 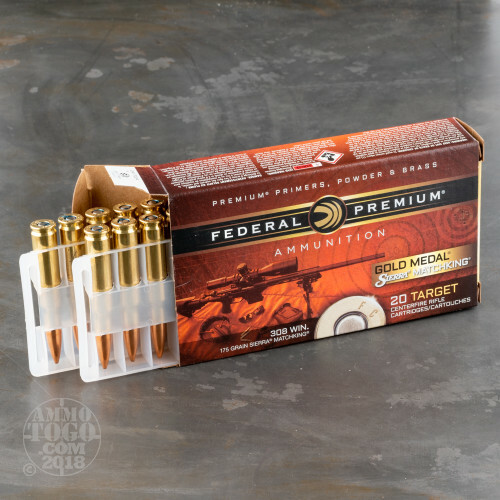 These world-class Gold Medal loads merge the legendary Sierra MatchKing Boat-Tail Hollow Point projectile with Federal’s patented premium delivery system. MatchKing is Sierra’s renowned target bullet, delivering pinpoint accuracy acclaimed around the world. Featuring a small meplat hollow point design with a drag-reducing boat tail shape, these projectiles deliver a high ballistic coefficient. The accuracy of the Sierra MatchKing has won more target competitions than all other target bullets combined. Each 175 grain Sierra MatchKing bullet is loaded into high-quality Federal premium brass. 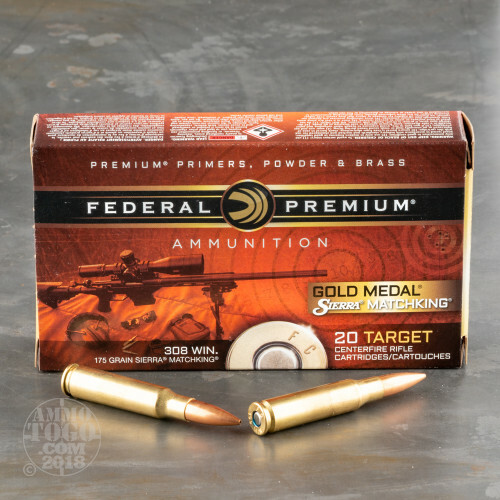 With stringent manufacturing controls, specially formulated propellant, and benchrest-quality Gold Medal primers, this target ammunition delivers high-level consistency and unbelievable long-range accuracy. Each round produces a consistent muzzle velocity of 2600 feet per second with 2627 foot pounds of muzzle energy. 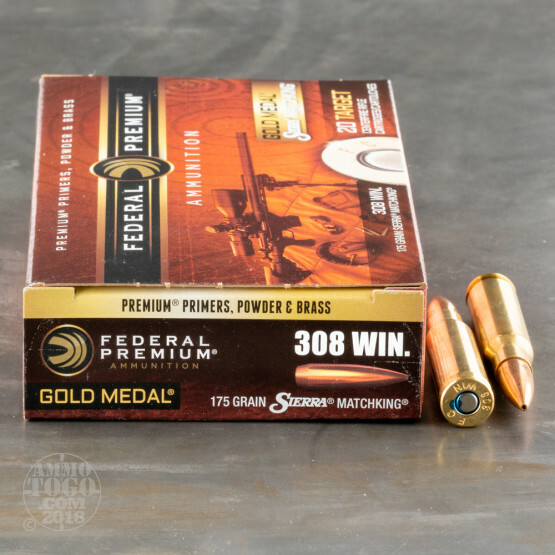 These Federal Gold Medal Match .308 Winchester (7.62x51) rounds are some of the most accurate loads available from a factory. Rivaling the performance of some custom hand loads, this ammunition comes packed in 20-round boxes.